Your brand ambassadors aren’t doing a great job. You’re not getting results, and it’s hurting your bottom line. Or maybe you haven’t started yet, but you’ve heard enough horror stories to shy away. How could a campaign that’s supposed to work so seamlessly go so wrong? The answer is in handling your brand ambassador campaign the right way. 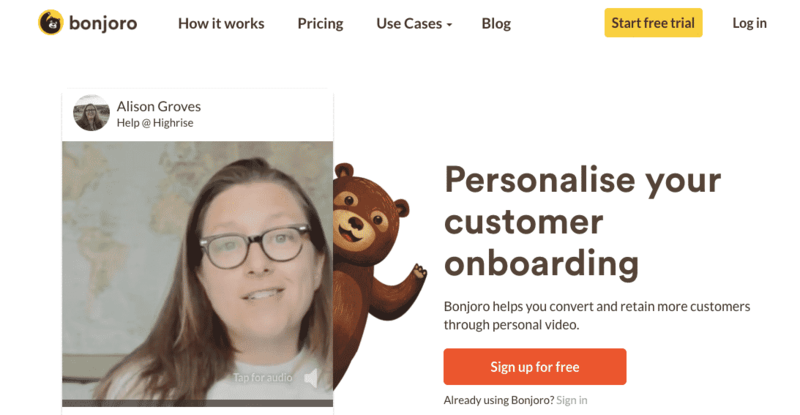 Whether you’re just starting or need to troubleshoot an existing campaign, you can use this 5-step system to find and leverage brand ambassadors that will change your business. But first, let’s start with understanding exactly why you need a brand ambassador campaign. What is a brand ambassador, and what can they do for you? At its heart, a brand ambassador is someone who’s so passionate about your brand, they’re willing to promote it even if they aren’t part of your company. The type of brand ambassador campaign you run depends a bit on the type of company you are and what type of fans you attract. Typically, the term refers to people who are compensated in some way (be that free products or payments) to promote your brand. The people at this intersection of marketing and word-of-mouth help eCommerce brands in a variety of ways. When done correctly, a brand ambassador campaign will help you develop a strong presence online and drive new traffic and sales. But perhaps the best benefit of an ambassador campaign is word-of-mouth. While paid, these influencers still have a lot of credibility in the eyes of your customers—more than, say, a company spokesperson or founder. 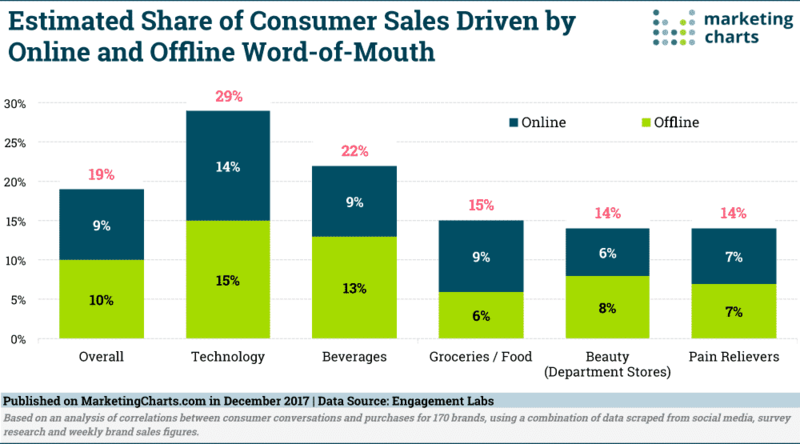 Word-of-mouth is so powerful, in fact, that it drives 19% of sales (including both online and offline sales). If you’re in the technology space, that number is 50% higher. Brand ambassadors can be the key to boosting that critical one-fifth of your sales. The first step is the hardest, but the most important: you’ll need to build a brand worth talking about. 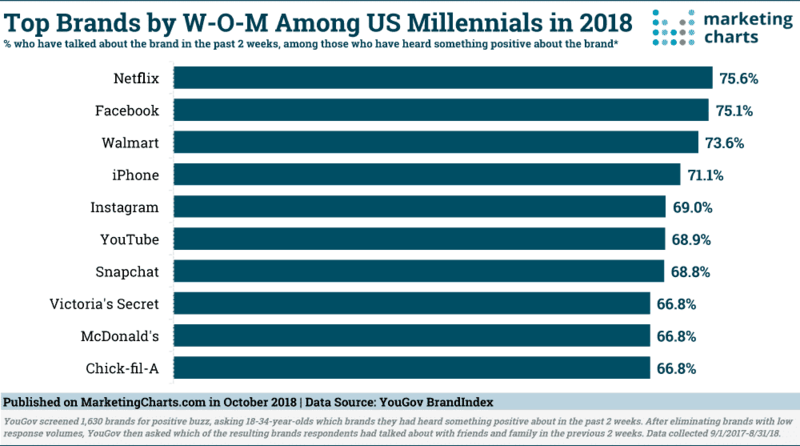 It’s no surprising that interesting brands have the best word-of-mouth among millennials. Tech companies, retailers, and fast food restaurants dominate the top ten brands. But for eCommerce stores that aren’t billion-dollar companies, how can you build something noteworthy? First, you can create a brand around an amazing product. Don’t have an original product to sell? Create a twist on an existing concept. eCommerce retailer Johnny Cupcakes sells T-shirts, like dozens of other retailers. But Johnny Cupcakes takes a different spin on it. They call themselves the “World’s First T-Shirt Bakery” and use the cupcake theme throughout their branding and marketing. They’ve taken cultural icons, like skull and crossbones, and replaced them with images of cupcakes on their limited-edition tees. They’ve even opened up physical stores that sell T-shirts in a bakery environment, complete with glass displays, “menus,” and baker aprons. Just another T-shirt brand? Hardly. In fact, the creativity behind the brand has skyrocketed it to success. Today, over 2,000 customers have gotten Johnny Cupcake tattoos. 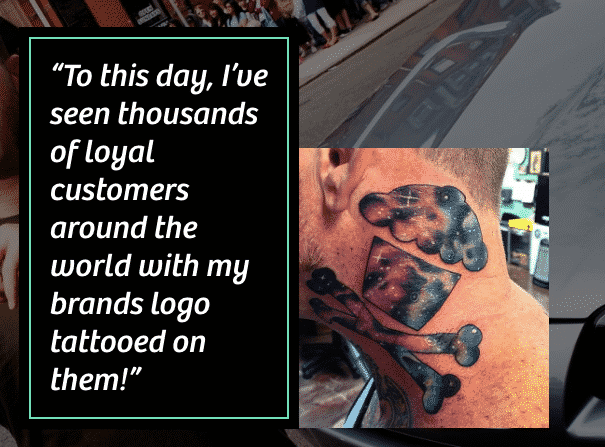 That’s serious brand loyalty, and it’s no surprise Johnny Cupcakes has a fanbase that rivals Apple and Harley-Davidson. But even if you don’t feel like your brand is set for incredible word of mouth, you can get started by building a community and brand image online. An incredible focus on great customer service has helped build eCommerce store Naked Wines into one of the most trusted wine retailers in the UK. One example of their social media interaction: they gave a refund for the value of a promotion… to someone who ordered before the promotion. That kind of incredible customer interaction is worth spreading the word about. A great way to do this is to grow eCommerce sales through a Facebook group. You can show your personality, grow your community, and start to build a brand worth talking about online. Everyone has a unique personality, and that personality can and should become your brand. Use your creativity, create an interesting story, and everything else about building a brand ambassador campaign will be that much easier. The next step to building your team of raving fans is to learn who’s interested in what you have to offer and who’s not. 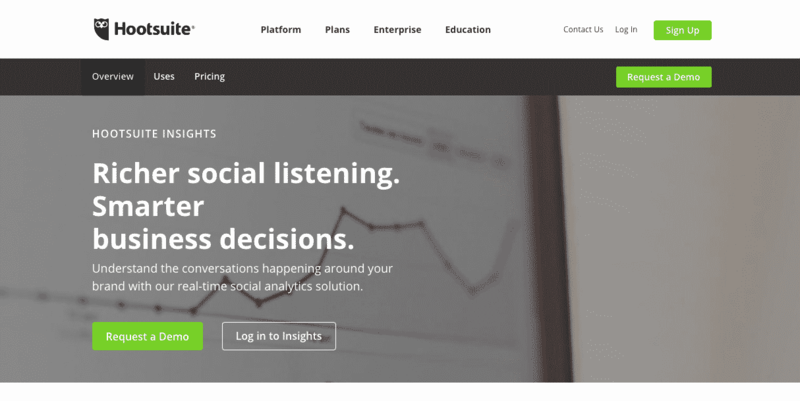 If you already have some social media listening tools set up, this is a great way to learn. 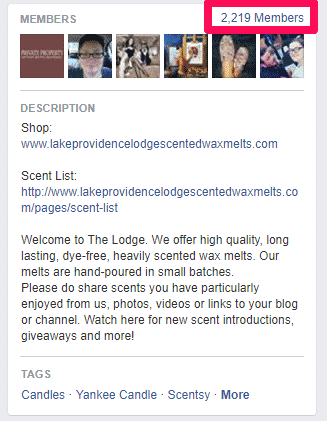 You can follow trends and see who’s encouraging others to visit your site or buy your products. A great tool for this is Hootsuite Insights. You’ll be able to see what people are saying about your brand, who’s saying it, and how your brand is trending over time. It’s an excellent tool for finding influencers as well as tracking metrics on brand engagement, social media opinion, and other marketing statistics. But what if you don’t already have an active community online sharing about you? The simplest solution is to find out what kinds of communities would be most receptive to your message. A great way to do this is by finding out where two similar brands intersect. A simple, easy-to-use tool for this is Find Thy Peeps. 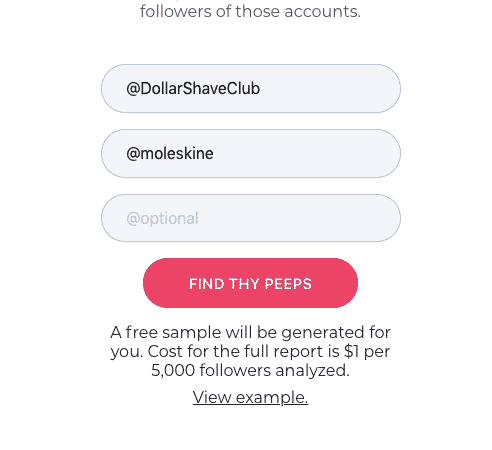 Just enter two brand accounts you want to observe, and Find Thy Peeps will create a report with followers of both brands. (You can include up to 10 Twitter accounts, but for this example we’ll just use two to keep it simple). For example, let’s say you sell timeless writing tools for men. A little research might show that Dollar Shave Club and Moleskine notebooks are two brands that represent your ideals, culture, and target audience. Just enter the different accounts you want to follow. 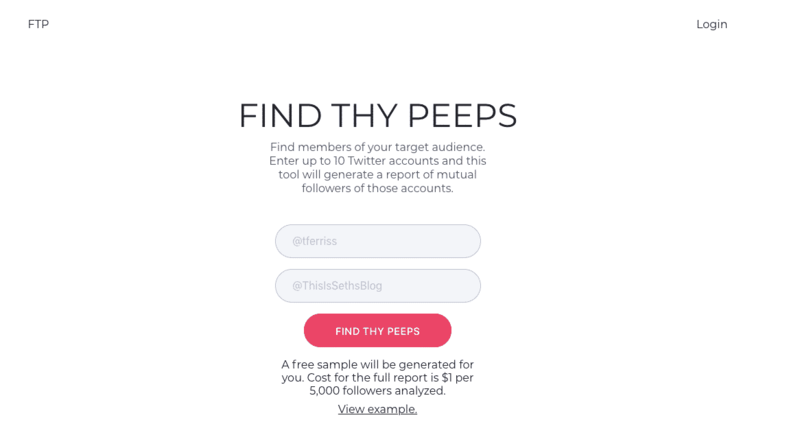 And click the “Find Thy Peeps” button. You’ll be prompted to link it with your Twitter account so it can generate the report. After a few minutes, your report will be ready under the “My Reports” tab. The full report is just $1 for every 5,000 prospects. 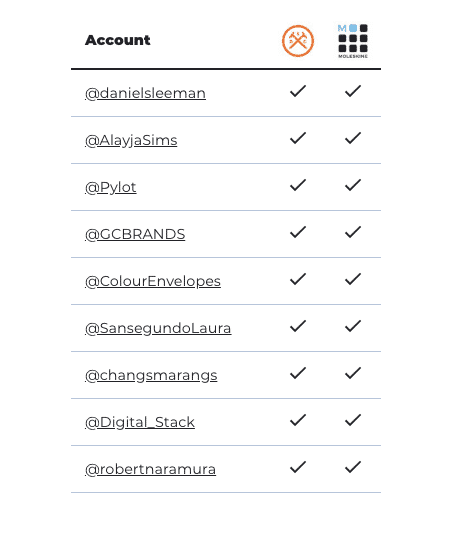 But you can see the type of accounts generated with a small sample for free. As you look through the targeted followers, you’ll find brand accounts as well as actual humans. Since brand accounts typically have their own promotional goals, you’ll want to focus on users. It’s easy to blast a generic message to the thousands of similar followers you’ve found. But remember—these aren’t necessarily people who would be interested in your brand specifically. We’re just getting a feel for the landscape at this point. With that list in mind, it’s time for the next step—vetting your candidates the right way. It might seem like an unnecessary step, but if you aren’t reviewing your candidates correctly, you’re going to struggle. This is the most important part of your brand ambassador campaign. If you don’t find the right type of candidates from the beginning, you’ll run into problems later on. While it’s ideal to find prospects already passionate about your brand, you can use these vetting strategies to target other prospects who might not have heard of you before. Here’s what you need to look for when choosing which candidates to contact. First and foremost, you want to find a prospect who has the same mission as you. If you’re selling environmentally-friendly skin care products, look for influencers in the sustainability and beauty communities. No matter how hard you try, you’ll never elicit the same message from someone uninterested in your product. So, what missions are critical for a brand ambassador? Start by looking at his or her responsibilities. Typically, you’ll want to find brand ambassadors who stay loyal to your brand and relate positive experiences. To do that, you’ll want to find social media influencers who appreciate both your product itself and the motivation behind it. In our example, that would be someone interested both in beauty products and sustainability. But just being interested isn’t enough. You’ll want to find someone who shares your perspective without rewards first. 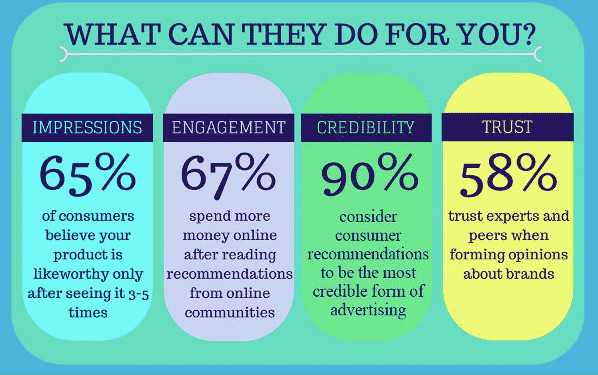 Remember, trust and credibility are keys to a successful campaign. Find someone who shares authentically. At the end of the day, a few passionate ambassadors can be more valuable than dozens of moderately-interested ones. And finally, you’ll want to look for the force multiplier: audience size and engagement. Chances are, there are thousands of people interested in your premise and products. But targeting all of them would be a waste of time. Instead, focus on the few with the most reach and impact. Generally, this is determined by audience size, but you’ll also want to watch engagement as well. For audience size, you’ll want to find users with a bare minimum of 1,000 followers. Ideally, look for ambassadors with many times this number, but 1,000 is a good minimum threshold. Engagement means how well the audience is reacting to each tweet or post. Think of these interactions in terms of percentages. Generally, 0.02% is considered the lowest baseline, with 0.33% marking a great engagement rate. You can use a tool like Crowdbabble to analyze engagement rates for these users. So ten likes, shares, comments, or retweets isn’t much for a user with 100K followers—that’s a 0.01% engagement rate. But for someone with 1,000 followers, that’s an astonishing 1%. Once you know who’s passionate about your brand and has enough clout to make it worth your while, it’s time to start contacting. A lot of brands go about this in the wrong way. They make the first impression too desperate, too cocky, or too much all at once. Worse, they don’t personalize it. We’re not going to fall into those traps. Instead, we’ll contact prospects the right way. The best way to do this is to engage a few times with someone on social media. This builds authority and trust before making the pitch. But for the pitch itself, social media might not be your best option. Instead, email presents a level of authority and seriousness that’s hard to express in 140 characters or a Facebook message. 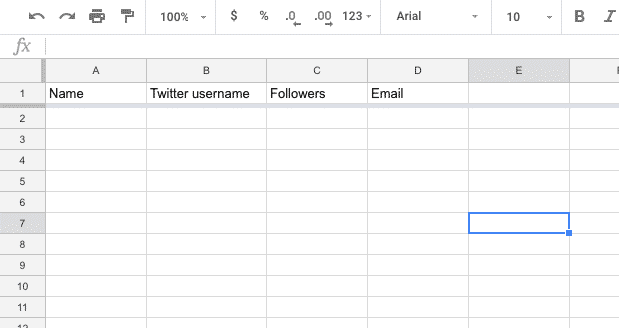 Before we start, let’s compile a spreadsheet with all the influencers we’re going to contact. The best way to do that is by inputting data into a free Google Sheet. 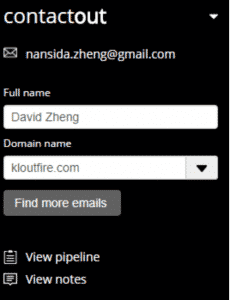 Include columns for name, Twitter username, followers, and email. To populate the fields, find their contact information using a tool like ContactOut. To use it, just install the Chrome app and find the user on LinkedIn. ContactOut pulls contact information from LinkedIn and makes it super easy to reach out to someone. Once we’ve entered all this information, we’re ready to customize our pitches and send them out. Now, we could write a custom email to each person, but this is time-consuming and honestly not necessary. Instead, we’ll send out a bulk email that’s customized to each user. Once you’ve written up a basic template, you can send emails with a bulk program like GMass. 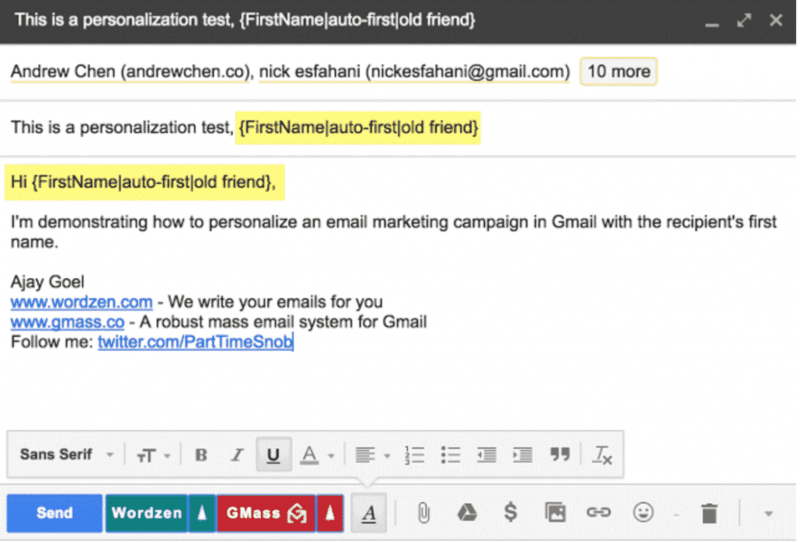 It plugs into Gmail and your Google Sheet to send bulk emails quickly and easily. Go ahead and write out your template, then make it personalized with some custom messages. Include custom data in the spreadsheet, such as intros or other notes that will pull into our final email. Create a strong first impression with this type of personalization. But don’t think that the process is finished quite yet. You’ll still want to make sure the ambassador is a good fit. 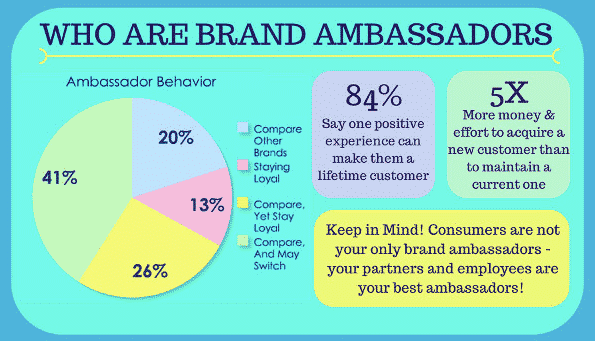 Remember, the more work you do upfront, the better your ambassador program will be. You’ll want to conduct a short interview with the prospect before making them a full-fledged representative for your company. If you already have an ambassador program in place, you’ll want to make sure they share qualities and characteristics with your other top ambassadors. If you don’t have a program yet, you’ll need to go by a gut feeling of the prospect. Take note of commonalities you can use in future interviews. A lot of people think they’re done at this point, but that’s not true. There’s one final (and ongoing step) to keep your ambassador campaigns working at top capacity. If you set up a brand ambassador campaign and leave your ambassadors to fend for themselves, you’re setting yourself up for failure. Instead, you need to educate them and prepare them. Develop a training program to provide in-depth knowledge of your company, products, and services. You’ll help kickstart their performance and prepare them to be the face of your company. Continue building the relationship and encouraging them as they progress. The more one-on-one contact and help you provide, the easier it will be for them to do their jobs well. Of course, the easiest way to do this is to simply send emails with information on new products, offers, and resources for your ambassadors. The easier you make it to sell your product, the more eager brand ambassadors will be to help. For example, eCommerce store Greats makes it easy to promote their shoes with a solid return policy. It’s helped them achieve a 50% return customer rate. But those who go a step further in ambassador brand campaigns will reap the most benefits. Here are two ways to keep your ambassadors even more connected. The first tool you can use is Bonjour, which will provide a personal touch to your communication. 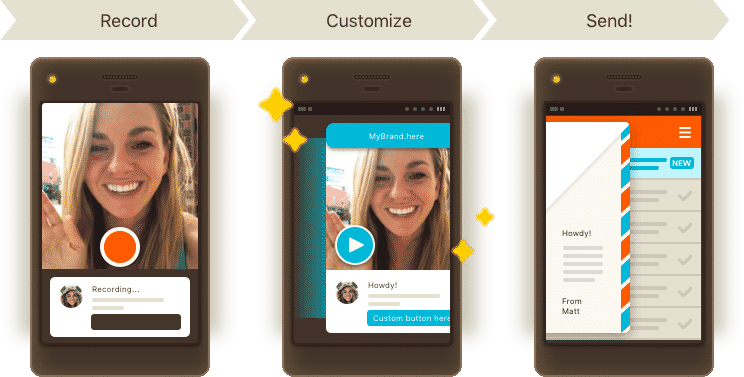 It’s an app for sending personalized video messages quickly and easily. You can even download the app on your phone and use it to record messages on the go. Just record a video and Bonjourno handles the rest. 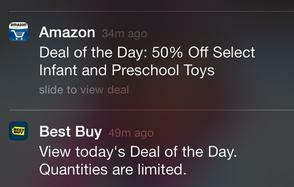 Another way to keep brand ambassadors engaged is with push notifications. This is especially helpful if you have an app for your eCommerce store. You can send engaging push notifications to keep ambassadors up-to-date with any new promotions. 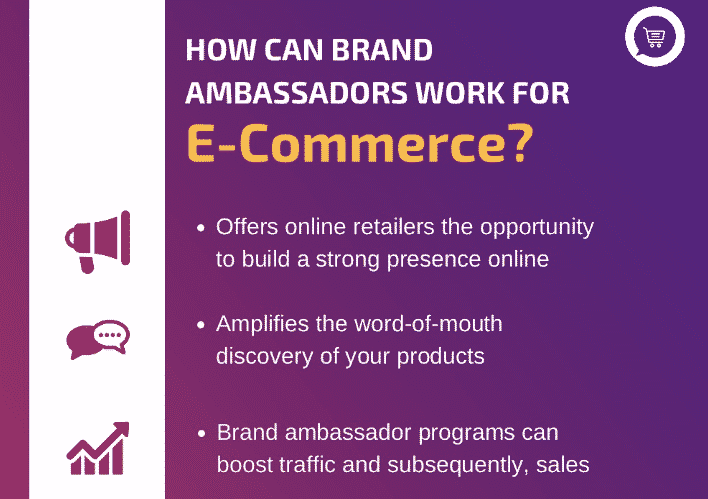 When used appropriately, communication can be the best tool to build relationships with your ambassadors, encourage them to promote your brand, and grow your eCommerce store. If you’ve got a brand you want to develop with ambassadors, now you know how to do it correctly. You’ll need to start by finding just the right people. If you use the shotgun approach—targeting anyone who’s remotely interested in what you’re selling—you’ll only struggle later on. Instead, find people engaged with your brand and interested in your mission. Next, you’ll want to contact them the right way. Show your potential ambassadors what’s in it for them. No matter how passionate your ambassadors, they’ll only stick around if you show them some love! Explain the referral system, your compensation plan, and what they’ll get in return. It’s all about focusing on the brand and providing the right incentives. Finally, follow up. If you leave your ambassadors alone, they’ll struggle. Instead, walk by their side and show them new resources and guidance that will help them. With this system, you’re set to build a brand ambassador campaign that practically sells for you. Founder of Growth Wit and WiseMerchant. 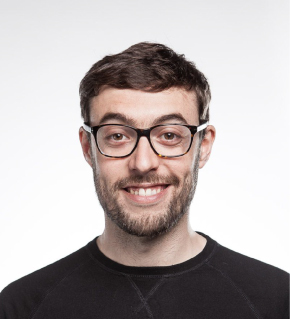 He helps e-commerce brands, venture backed startups, and Fortune 500 companies grow their revenue online.